One of the most striking things about “Unbreakable Kimmy Schmidt” is that from the beginning, it was never a safe bet. 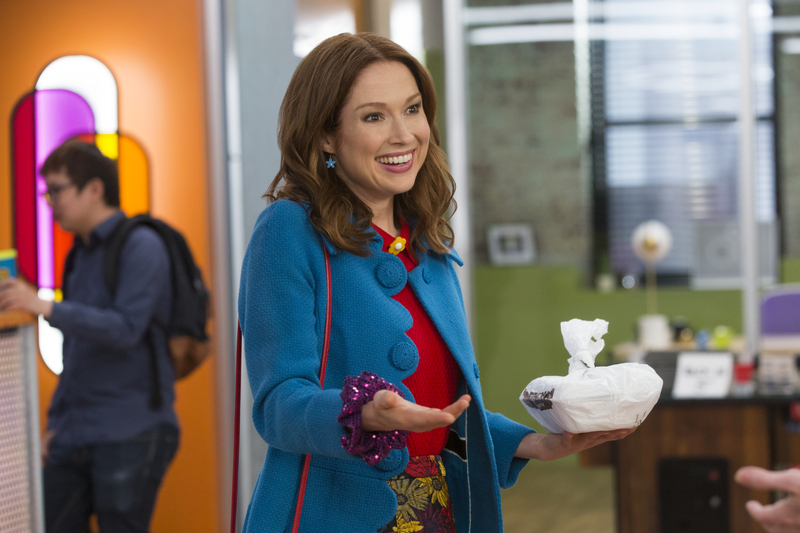 Tina Fey had built up a lot of goodwill with the Emmy-winning “30 Rock,” and she and co-creator Robert Carlock channeled it into a daring premise that aimed to find the funny side of a young woman (Ellie Kemper) reconnecting with the world after surviving 15 years of entrapment. And that wasn’t even the weirdest aspect of the show, thanks to Kimmy’s new friends, the sideways tugboat apartment building she lives in, and a personal journey which took her from a frightened former “mole woman” to becoming the J.K. Rowling-esque author of “The Legends of Greemulax,” a children’s book series which inspires both young boys and girls to be better. Over the course of four seasons, “Kimmy Schmidt” has created its own weird little world, one where Greg Kinnear does daytime improv, the cats of “Cats” can’t be trusted, and real musicals like “The Lion King” are just as relevant as that “classic” film “Daddy’s Boy.” Much of the show’s unique charm can be traced to its core cast, anchored by Ellie Kemper, who make up one of TV’s most eclectic yet well-defined ensembles. It’s interesting to look back at where these characters started in Season 1 and realize that while quite a bit has changed for all of them, they remain very much fundamentally the same people — a credit to their initial creation, as well as the ways in which the writing has always kept up with their evolution over the years.